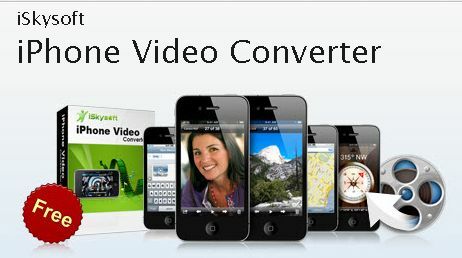 iSkysoft iPhone Video Converter is a simple-to-use, comprehensive video converting application which is designed for iPhone enthusiasts who wanna save their favorite videos on iPhone 3G, iPhone 3GS or iPhone 4. iSkysoft iPhone Video Converter is capable of converting virtually all popular video and audio formats like AVI, MPEG, MOV, OGG, WAV to iPhone supported formats such as MP4 and MP3, featuring a variety of practical settings including video crop, file trim, video brightness, contrast and saturation, as well as merging multiple files into 1 output file for enjoying a long video without interruption, available in both Windows and Mac version – iSkysoft iPhone Video Converter for Windows and iSkysoft iPhone Video Converter for Mac. iSkysoft iPhone Video Converter normally costs about $29 per single license. As part of iSkysoft promotion, the company is giving away the free license serial key for iSkysoft iPhone Video Converter for Windows and iSkysoft iPhone Video Converter for Mac. This promotion will be ended on July 26, 2010. To grab the free license code for iSkysoft iPhone Video Converter, just visit below promotion pages to register. Instantly, an email (from iSkysoft Mailer) which contains a free license code and setup installer (download URL) for iSkysoft iPhone Video Converter will be delivered to your registered email inbox. iSkysoft iPhone Video Converter for Windows is compatible with Windows XP/NT/2000/2003/Vista and Windows 7 OS, while iSkysoft iPhone Video Converter for Mac supports Mac OS X 10.4 Tiger, Mac OS X 10.5 Leopard and Mac OS X 10.6 Snow Leopard platform.